The BEST Facials To Get That Bridal Glow... For *Your* Skin! This story was updated in January 2019. Every bride wants to look her very best on her wedding, of course, you want to exude happiness and a radiant glow from within. But how much ever you try to bring out that natural beauty on that very day, it’s not possible to completely transform. For your skin to shine like a diamond on your D-day it’s essential that you undergo regular treatments, salon visits, beauty enhancing products and supplements and most importantly follow a healthy routine starting at least six months prior to the big day. Because it takes a hell of a lot to get your princess vibe on and we want you to look your stunning best! 1) Don’t leave it until the last minute to think about your skin, it’s not an overnight miracle that can happen. The sooner you go get a consultation with a dermatologist or a trusted salon, the better. They can easily detect what your skin needs and recommend a skincare regime change if required. For dullness, start using products containing AHAs (exfoliating acids) which will help you get rid of dead skin or clear out any congestion on your face. 2) Include green tea in your diet, preferably 20 minutes after every meal. Not only does this help in weight loss but it is also full of antioxidants that will boost a natural radiance from within. 3) SPF is your new bestie. Well, you should be applying SPF everyday but before your wedding, it’s all the more important to protect you from skin damage. Don’t forget the lips, ears and back of your neck (especially if you’re planning a vacay or spending a lot of time in the sun before the wedding). 4) Don’t try any new products at least three weeks before your wedding. This goes for beauty, makeup, skincare or even food items. You never know what your skin isn’t used to and can cause an allergic reaction which could take weeks to subside. You don’t want a red, rashy face on your D-day now do you?! 5) If you’re on a regulated diet then make sure you have some supplements to go along with it. This is because a lack of nutrients in your diet can make you lose the lustre in your hair and the radiance in your skin, to compensate for all of this, supplements become essential. 6) If you’re trying to lose weight for your big day, make sure you’re moisturising your body well with a Vitamin E lotion, nobody wants stretch marks right?! 7) If you have redness or acne spots, talk to your doctor about undergoing a short course of hydrocortisone which will reduce the discoloration. 8) If you have clogged pores, blackheads or even spots on your chin, you must exfoliate regularly. Use salicylic acid to clean your skin from deep within as it also reduces inflammation. 9) Stress can cause breakouts and reduce the radiance of your skin and during a wedding, there’s a whole lot of it for the bride. Try to relax and take conscious steps to clear your mind. Delegate wedding duties among your friends and family, trust the planner and do things that calm you down including meditating, yoga and listening to calming music. 10) Don’t forget your lips, lashes and hands. Use castor oil on your lashes to make them fluttery and gorgeous. Use a good lip balm and lip scrub so that your pout isn’t cracked and crumbly on your shaadi functions and use a thick moisturiser and cuticle oil for your hands as they will be in focus, especially for those Mehendi and ring photos. Image Source: Giphy Facial Packs can be availed at any well-known salon or dermatology clinic and many of these are tailor-made for brides. From skin type problems (oily, dry or even combination) to issues like acne, dullness and scars, a quick consultation will help you determine which treatment will lessen those imperfections. You can go for a regular facial or even undergo some radiance boosting treatment. And if you are a nani ke nuskhe person then you can even do some DIYs with simple kitchen ingredients too. So bride-to-be, all in all, we’ve got you sorted. Other than that, we’ve got for you the most effective treatments for all skin types. Yes, they’re a little costly but it’s your wedding glow, you only want the very best before your walk to the mandap. Micro skin polishing or microdermabrasion is a process that exfoliates and increases the lymphatic drainage in the skin. It eliminates dull, lifeless and flaky skin to reveal a smooth and even surface. It uses a gentle vacuum which combines aluminum oxide crystals and diatomaceous earth and soothing botanicals to counter skin conditions like dull or rough skin, blackheads, clogged skin, and renew the skin’s biological process and bring back the natural radiance. The procedure takes about forty minutes and is suitable for many skin types. It is a safe and effective procedure and a good bet for brides who don’t want to try too dramatic a procedure. There’s nothing like a good old DIY radiance mask, you know exactly which ingredients have been used and you know how organic they are. There are several DIY masks you can try to scrub away dead skin and to even boost blood circulation and bring out your inner glow. And the best part about these scrubs and masks is that you can just mix them up in the kitchen in a jiffy. 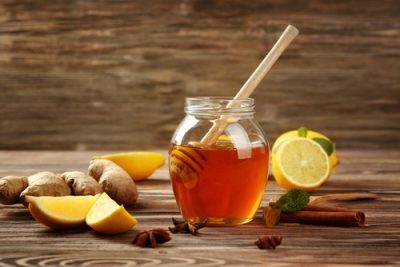 This mask uses a combination of lemon and honey only and is highly potent. 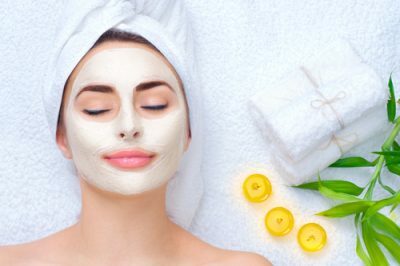 Lemons are filled with alpha-hydroxy acids (AHAs) which help in the removal of dead skin and honey is an incredible antibacterial agent and is full of antioxidants which is brilliant for your skin. Squeeze out some lemon juice and mix it with one tablespoon of honey. Preferably, the honey should be organic, bought from a farmer’s market or a brand which specializes in organic and whole foods. Put this paste on your neck and face while avoiding the eye area. Keep it on for twenty minutes and then wash it off first with warm water and then with cold water. You can then pat your face dry. Please Note: Some skin types are sensitive to lemon so would highly recommend doing a patch test first in the inside area of your elbow before applying it on your face. Don’t venture out with a lemon mask in the sun as it makes your skin more sensitive. Also, use SPF for a few days after to not irritate and aggravate affected areas. Green tea as we all know is full of all the best kind of properties. Not only is it ideal for weight loss, but it’s also full of antioxidants which are brilliant for your skin. It combats skin spots and dark patches and promotes skin rejuvenation. Take a bag of green tea, cut it open and mix it with 2 tablespoons of organic honey. Apply this to your skin and leave it on to do its magic for 15 minutes before washing it off with water. It calms inflammation on your face, prevents blackheads, clears congestion and lightens dark spots too. This is perfect if you’re having a winter wedding and want to combat dry and flaky skin. Take half a banana and mash it into pulp with an even consistency. You can even put it into the mixer if you want and the results will be an even mix. Then add 2 tablespoons of organic honey and half a tablespoon of fine cinnamon powder. Mix all the ingredients together slowly. Apply this paste on a clean face and leave it on for 20-30 minutes to dry down. Cinnamon will open your pores for better absorption of the nutrients from honey and banana. It will also help decrease the blemishes on your face. The banana soothes dry skin and adds moisture, making your skin supple. This is perfect for brides who have oily and clogged skin and it also works wonderfully for lightening dark spots and acne scars. Peel cucumber and chop off the ends. You can then dice it into small pieces and put it into the blender to create a pulp. Take a tablespoon of this cucumber mixture and a teaspoon of lemon juice. You can add a pinch of turmeric powder and mix everything well before applying to your face and neck. The cucumber has soothing properties and can calm a rash or a bad sunburn down while turmeric has antibiotic properties. Leave this pack on for fifteen minutes and let it dry down. Splash some cold water afterward and wash it off. You can use this daily to see an instant radiance boost. If you have dry skin you can add some glycerine into the mixture as well. A collagen facial treatment is basically made to restore the depleted collagen from your face. It rejuvenates your skin and brings back its natural glow. Collagen is a type of protein that eventually slows down the aging process and uses external applications to replenish natural ingredients that your body produces. The skin is first cleaned thoroughly with a cleanser and then is exfoliated with scrubs to unclog your skin and open up your pores. This is especially essential if you have oily skin. An alternative is a chemical scrub which removes dead skin cells from the surface. The next step is to massage your skin and stimulate blood circulation with a concentrated collagen cream. You can opt for a chemical cream or even a natural fruit collagen cream at most salons and spas. If you’re doing this as a DIY at home you can make a fruit pulp with avocado and kiwi. Keep the face mask on for fifteen minutes and then wash it off with warm water. You can even use a collagen-based night cream which will ensure the best results and maximize your bridal glow. It moisturises skin, reduces fine lines and dark patches. This bridal beauty facials even reduces stress so it’s pretty ideal for bridezillas who can’t deal with all the D-day pressure. Many luxe facial massage gels and creams use diamond dust and this is exactly what every bride looking to pamper herself needs. You’re a princess and deserve the best for your wedding day and what’s better than glitter best friends for your skin?! A diamond facial is known for its skin lightening and brightening effects. It removes blemishes and tan and restores your original skin tone. The first step is to use a diamond cleanser to leave your skin squeaky clean. Then a diamond scrub is used to pull out impurities that may be hidden inside the pores. After this, a diamond cream is used to massage your skin and ensure maximum absorption. Finally, the diamond facial pack is applied evenly over your face and neck. This shrinks open pores and improves skin texture. Afterward, you may even get a diamond serum and this can be applied after to give best results. A diamond facial exfoliates skin from deep within, prevents aging, treats skin issues like tanned skin, whiteheads, blackheads and dry skin. Shine bright like a diamond, literally! Again one of the most luxurious facials you can get is the gold one. Your special day obviously calls for a special something! The format of a gold facial can obviously differ from spa to spa but mostly they entail the same basic process. Firstly, they cleanse your skin, then exfoliate it thoroughly, and finally, they put on the gold glittering mask. 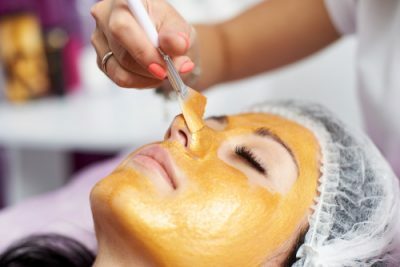 Depending on the technique used, this can be a massage using a 24-carat gold leaf on your skin or a coating with colloidal gold, a liquid solution with gold nanoparticles suspended in it. Gold has been an age-old ingredient in Ayurvedic treatments and has a host of benefits to give you. It is rich in antioxidants which fight environmental toxins and sun damage. It even firms skin and leaves it radiant just like actual gold! It promotes cell rejuvenation and elastin production. However, people with allergic reactions to jewelry should beware and do a patch test before-hand. 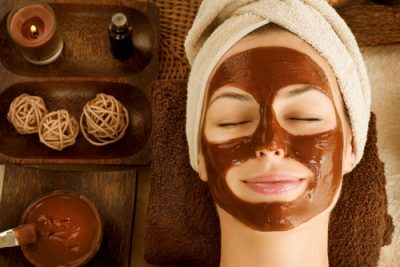 Not as luxurious as the diamond and gold facial but the chocolate facial also has become very popular thanks to the great results it shows. Chocolate paste, chocolate cream and scrubs are used to leave your skin shining with a happy radiance. It clears the skin from deep within and restores the glow that may be hidden behind a stubborn tan or the effects of pollution. Chocolate is high in antioxidants and contains anti-aging properties as well. It also is a great way of improving the generation of collagen and also lightens dark spots. People have also felt that it smoothens and improves the skin’s texture. So even if you can’t snack on that chocolate bar before your wedding, nobody said no to smearing some of it on your face and having a nice, relaxing spa day. 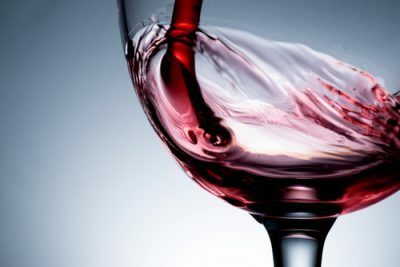 Again, you can say no to the calories in a glass of wine but the benefits of going for a wine facial are exceptional and they’ll make you scream yes a hundred times. They keep wrinkles at bay and fight those fine lines on your face. If you don’t use SPF on a daily basis, the amount of sun damage can be a lot more than you think, this can combat that as well. A wine facial even soothes inflamed skin and its antioxidant properties are superb for maintaining the long term effects on the skin. The process will include washing your face clean and maybe using a steamer to open up all the clogged pores and let out all the impurities. A blend of red wine along with other fruits will be used on your face and then all you’ve to do is wait for all the goodness to seep in so that you can look like a million bucks on your big day. We all know the treatments, facials, and expensive products can only take you so far. The key to the bridal glow is eating right and eating healthy. Not only will this help you regulate your diet and keep your weight in check it will also bring back the lustre in your hair and gleam in your skin. We’ve got a list of foods that’ll help you achieve this and shine brightly on your D-day. Avocados are rich in essential oils and B-complex vitamins making it an ideal fruit for improving your complexion. Flax seeds are filled with omega-3 and fatty acids which help in reducing fine lines and spots. Green tea reduces redness and swelling and is also said to be one of the best drinks to have after meals to avoid bloating. Coconut oil is also great for your body whether you’re cooking with it or putting it all over your skin in the form of a lotion. It is packed with good fats which ensure a moisturised and smooth texture. Dark chocolate is also full of antioxidants which reduce roughness and protect against sun damage. You already know the benefits of a chocolate facial then why not incorporate this at home as well. And whoever said no to dessert!? Strawberries help build and restore your skin’s collagen because they are high on Vitamin C. Say hello rosy cheeks! Spinach is also great because it not only has Vitamin C in it but also boasts of Vitamin K which reduces dark circles that may form due to wedding stress. So get those leafy greens into your diet! Red bell pepper is also considered fabulous for brides because they are packed with carotenoids which are antioxidants that help prevent wrinkles, calm down acne, and increase blood flow. What’s not to love?! 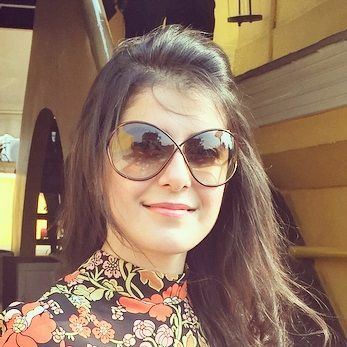 So bride-to-be, get set glow! Image Source: Shutterstock POPxo is now available in six languages: English, Hindi, Tamil, Telugu, Marathi and Bangla. AWESOME NEWS! POPxo SHOP is now Open! Get 25% off on all the super fun mugs, phone covers, cushions, laptop sleeves, and more! Use coupon code POPXOFIRST. Online shopping for women never looked better!